Losing these two men has been a huge loss to the team. McLaren is going through the longest winless run in its history and 2018 marks 20 years without a constructor's title for the Woking-based manufacturer, something nobody would've seen coming after their golden years in the 1980's and 90's. McLaren is nothing without its obsession for precision and optimisation, but what's happened in recent times has been nothing short of a disaster. The team will lose Fernando Alonso for 2019, the double world champion finally having enough of the team's shortcomings, is a recovery on the cards, or is this just the beginning of a slide to the bottom of the pecking order? As recently as 2008, Lewis Hamilton won the driver's championship in a McLaren and things were looking up for the team after the 2000's had so far been a period of Ferrari dominance. The regulation changes in 2009 shook up the order and McLaren failed to adapt as well as most of the competition, most notably Red Bull and the new Brawn team. True, by the season's end they possessed one of the best cars on the grid after wins in Hungary and Singapore, but the damage was already done years beforehand. 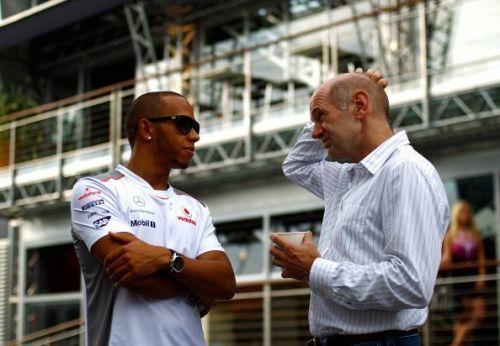 Adrian Newey is one of the most successful designers in Grand Prix racing history, and McLaren had the Englishman on their books back in 2005. Despite assurances that he would remain, Newey joined the new Red Bull Racing team for 2006 for a new challenge and bigger payslip. McLaren believed that it wasn't worth paying over the odds to keep the designer, but they were wrong. Under Newey's design, Sebastian Vettel powered his way to four straight driver's and constructor's championships between 2010 and 2013. It isn't just Newey's departure, but Lewis Hamilton's as well. For similar reasons to Newey, Hamilton left McLaren for Mercedes in 2013 in a move that some perceived as unwise at the time. Even since Lewis left for the Silver Arrows, though, the two teams' performance levels have diverged and never looked like closing. Merc became the dominant team when the regulations changed once more for 2014 and have won every driver and constructor championship since. Hamilton won three of them, and a fifth overall could be coming the Brit's way in November. Even Alonso struggles in McLaren's 2018 entry, but a Adrian Newey designed MCL33 driven by Lewis Hamilton would surely be challenging for wins rather than getting lost in midfield obscurity.